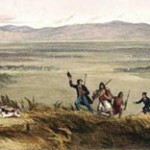 Captain of the ancestral Kurahaupo waka – Whatonga discovered and named the great forest Te Tapere Nui o Whatonga 26 generations ago. 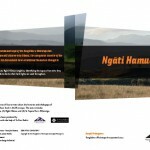 His descendents the people of Tara-ika (Ngai Tara) and Rangitāne (Rangitāne) have maintained their relationship with the land from the earliest times through to the present. 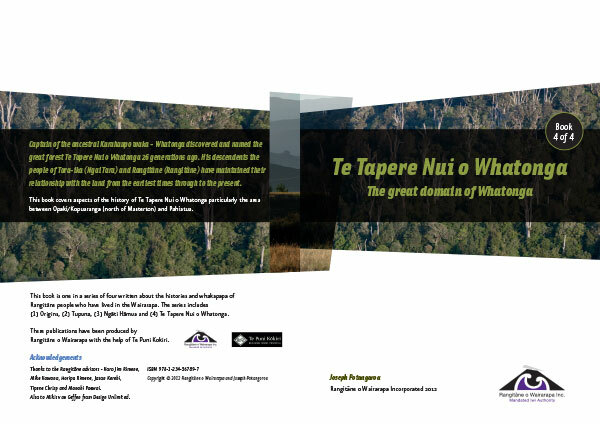 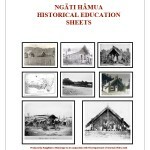 This book covers aspects of the history of Te Tapere Nui o Whatonga particularly the area between Opaki/Kopuaranga (north of Masterton) and Pahiatua.